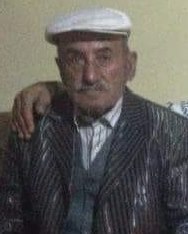 DURSUN OĞLU YAVUZ GEYİK VEFAT ETMİŞTİR. MERHUMA ALLAH'TAN RAHMET YAKINLARINA BSŞSAĞLIĞI DİLERİZ. TAZİYE YERİ H.MÜDÜR TAZİYE EVİ.